Frustration and stress come from the way you react, not the way things are. 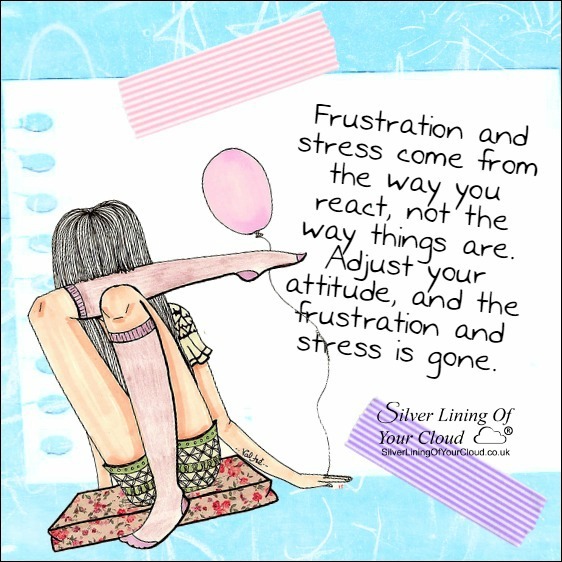 Adjust your attitude, and the frustration and stress is gone. Very true. We create stress from allowing negativity to rot within us. We allow our inner self to question positive facets instead of accepting anything good. Negative thinking breeds negative attitudes and behaviours. We are what we say. We are how we act. Our personal portrayal elicits the response we receive from others.